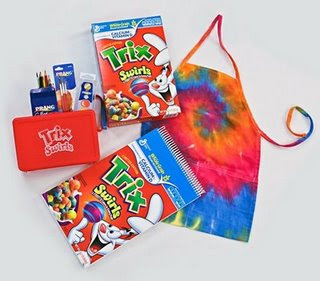 MyBlogSpark sent my 3 boys a Trix Swirls Creative Kid gift basket that included a box of Trix Swirls along with a colorful apron, a set of watercolor pencils, watercolor paints, brushes, a sketchbook, and an art supply box. My boys have always enjoyed Trix so they were excited to get to try the new flavor (so was this Mama). The response was unanimous …. everyone liked them ! The boxed barley lasted a day and the boys asked right away for me to buy more. Here is the commercial for Trix Swirls if you want to check it out ! My favorite cereal as a kid was probably Lucky Charms or Fruity Pebbles. I love ceral! So yummy, my favorite as a kid was Cap'n Crunch. Reminds me of Saturdays with a bowl of that good stuff and Saturday morning cartoons! Winners have been emaild, you have 48 hours to reply ! My favorite cereal when I was a child was Frosted Flakes. Thanks! My fave cereal when I was a kids was Honey Nut Cheerios. I love cereal--I think it is hard to pinpoint a favorite. But I remember Honey Nut Cheerios and Trix (when they were fruit shapes not just balls). Lucky Charms forever and always...theres something about those marshmellows! 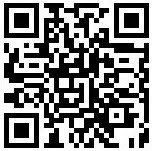 I have you linked in my blogroll! When I was a kid, my favorite cereal was Count Chocula! My favorite was and still is Honeycombs. I like the taste of Trix too. Favorite Cereal when I was a kid.. I know this will sound weird.. but I loved Grape Nuts... I still do..I also loved Shredded Wheat, the large ones that look like a bale of hay. I also loved Peanut Butter Capt'n Crunch..
and Wheaties..oh and Kelloggs Corn Flakes. My favorite was BooBerry, but we only got to eat it if we were on vacation. i loved count chocula and booberry cereals! My favorite cereal as a kid was cinnamon toast crunch! I've always loved Lucky Charms! My favorite was Cocoa Puffs. Wheetabix with Strawberries, Sweet & Low, and Mocha Mix... oh the memories! I LOVE cereal, but my fave cereal as a kid was Boo Berry!! Yummy! July 23, 2009 at 3:42 PM This comment has been removed by the author. I loved and still love Lucky Charms. I would say Lucky Charms! I loved Cocoa Puffs. Thanks for the chance. My favorite cereals as a child was Puffa Puffa Rice and Jets. Both equally yummy! Thank you! I use to love boo berry. Thanks for the chance. My favorite was always cinnamon toast crunch. My favorite was cookie crisp. One of my favorites was Cocoa Pebbles and still is! Loved Hot oatmeal with raisons. My favorite cereal was Captain Crunch! I liked Luck Charms and cookie crisp. My favorite cereal was ... Cocoa Krispies! My favorite cereal was Cocoa Pebbles! It was like eating chocolate candy and then you got chocolate milk afterwards! lol! Thank you for the contest! Mine would be Captain Crunch for sure! My favorite cereal when I was a kid was Apple Jacks. Favorite was Peanut Butter Captain Crunch. I loved Cheerios as a child and now I love them still as an adult. My 07/24/09 entry - TGIF !! I loved and still love Fruit Loops! Thanks! My favorite cereal whe I was a child was Apple Jacks. i was a cocoa pebbles girl! I loved Cheerios with raisins. Listening to the snap, crackle & pop. My favorite was Count Chocula. My favorite cereal when I was a kid was Cocoa Krispies. I left a comment at Thursday Morning Fun from TBS… post. You're on my blog roll. I just subscribed by email. I left a comment at “Smile Week” is August 10th – 16th and the “Compliment Guys” post. My favorite cereal as a kid was Fruity Pebbles! When I was a kid, the Sugar Frosted Flakes with Tony the Tiger was tops to me. When I was a kid my favorite cereal was Trix! I can't believe my kids are enjoying the same cereal I did. I tweeted it under networkingwitch and I'm following you. I loved Boo Berry when I was a kid. My favorite was and I still do love Captain Crunch,never soggy in milk!! I also love Trix and that adorable bunny! Trix was my favorite as a child, but we mostly had Corn Flakes. I signed up to follow you on Facebook. I love any kind of honey ceral. it was usually not name brand, things like honey puffs and whatnot. I loved Cinnamon Toast Crunch as a kid. As a child, I loved cocoa puffs. Still love them, but boy, they are sugary! My favorite was coco puffs. It was extra special because we could only have it at our grandparents. My favorite cereal as a child was count Chocula. I am subscribed via email. I am following on Twitter as jlsc123.